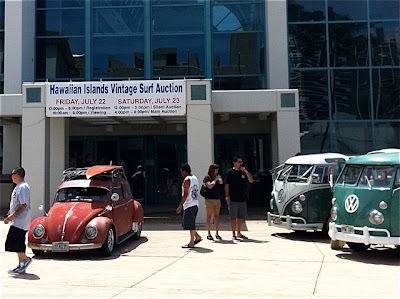 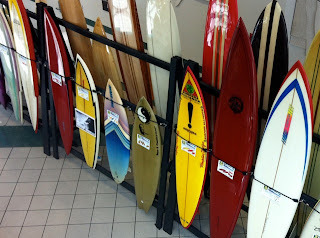 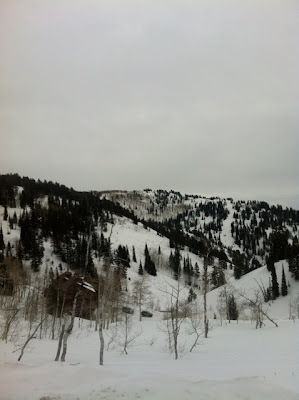 Looking out my window here in snowy Utah my mind has been wandering back to the warm weather of Hawaii in July and the good times I had at Randy Rarrick's Hawaiian Islands Vintage surf auction. 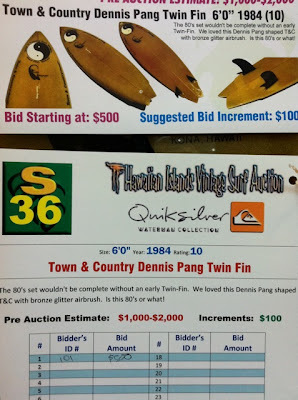 I cant believe how close I came to actually owning an amazing bronze glitter paint early 80's Dennis Pang shaped T&C twin fin that looked like it had been custom shaped for me. 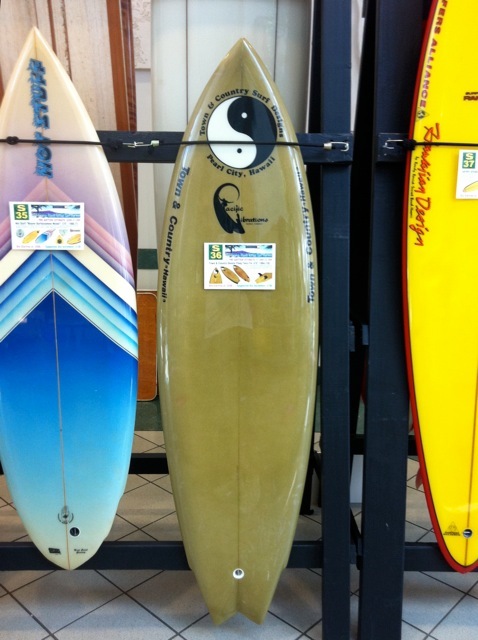 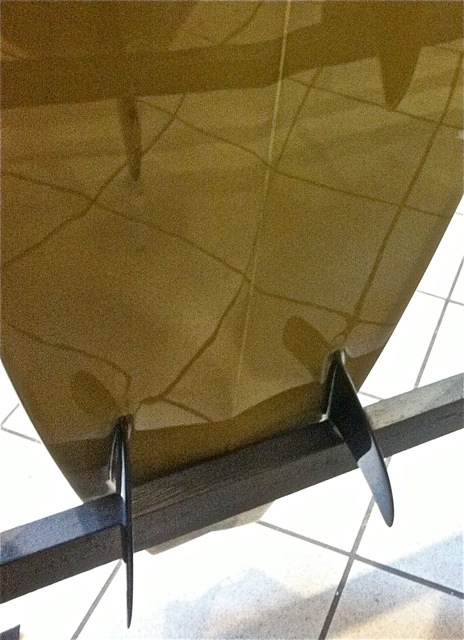 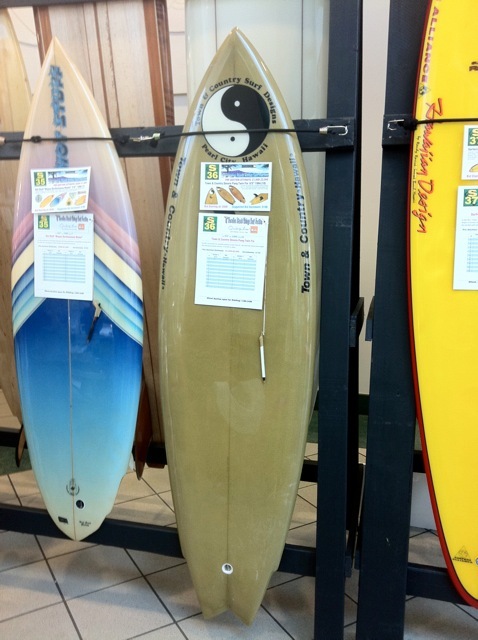 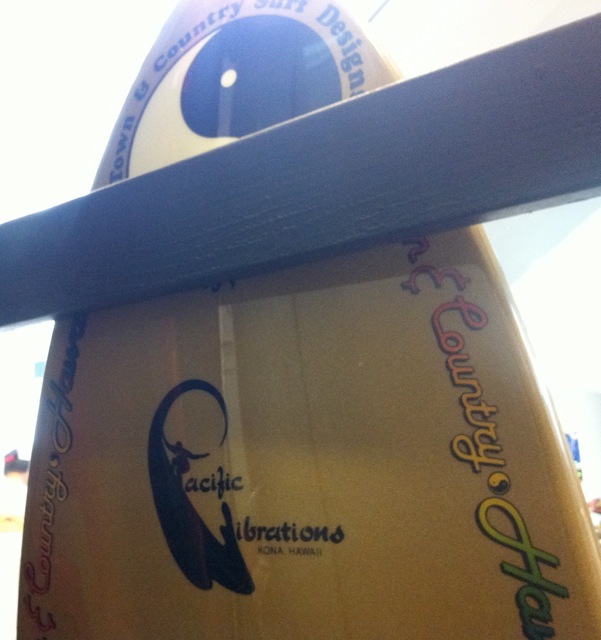 I immediately fell in love with this 10 out of 10 glitter paint Hawaiian built twin fin from Kona. Subtle rocker, nice and wide at the nose, single fly swallow. 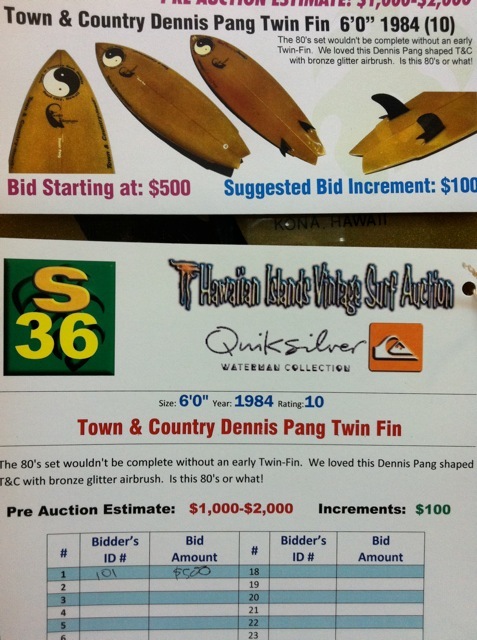 The silent auction bidding form, with me, 101, bidder number 1. 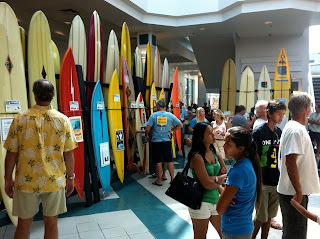 The silent auction started and foe a while I was the first and only bidder. 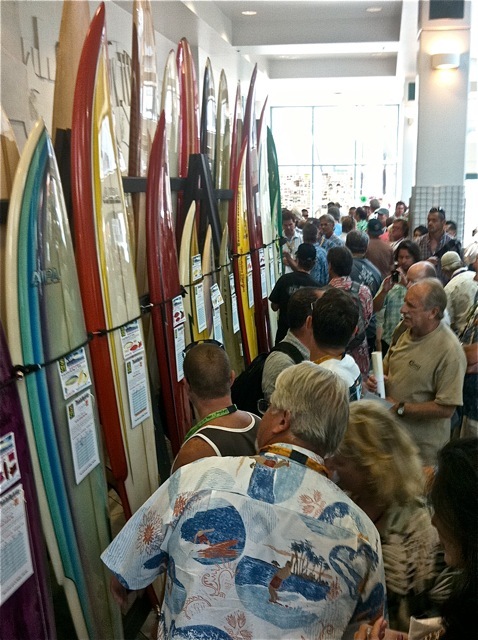 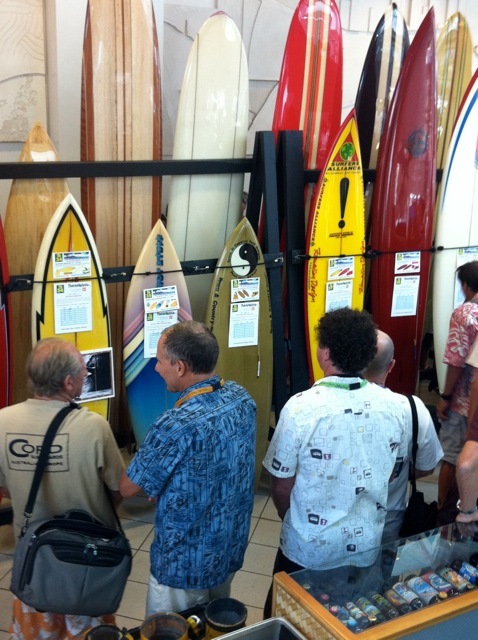 Then as the excitement of the auction grew more people started gathering around my board. HEY! GET AWAY FROM THERE! 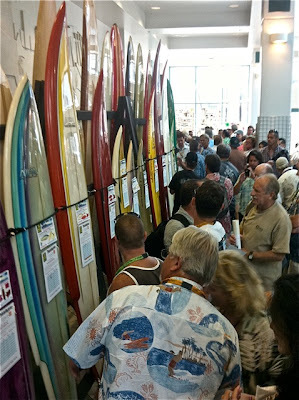 The auctioned ended and crowd subsided, leaving me broken hearted, beaten by one bid, but stoked to have been there and been able to play the game and share the buzz.